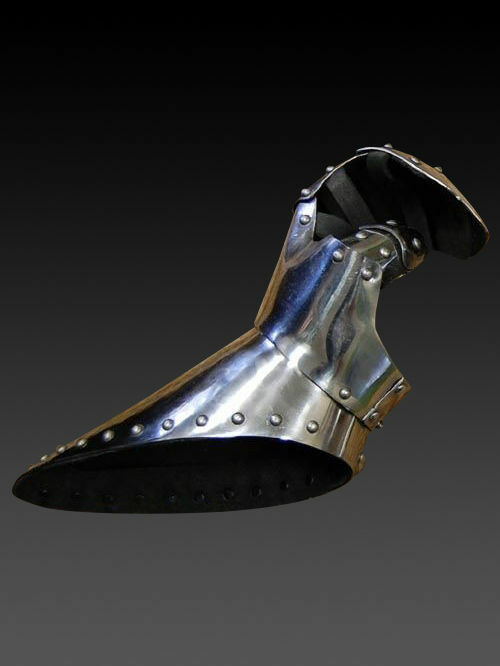 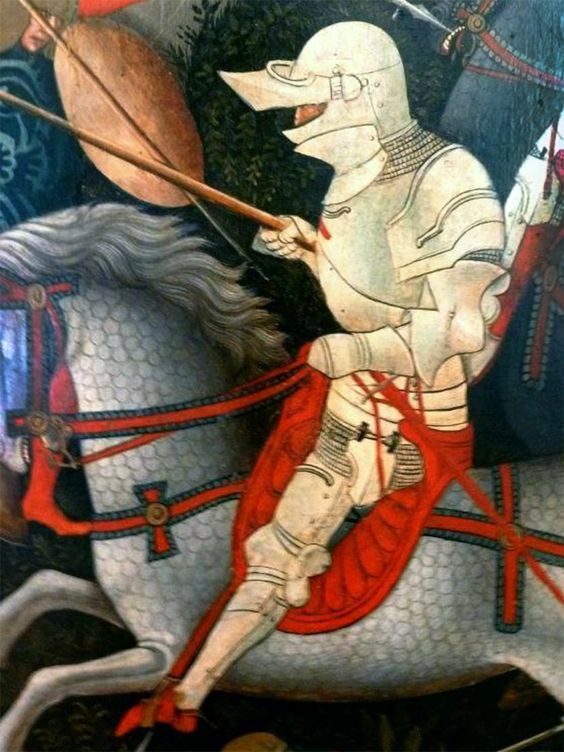 Handcrafted gauntlets are typical for Milanese armour of the 1450-1485 years. 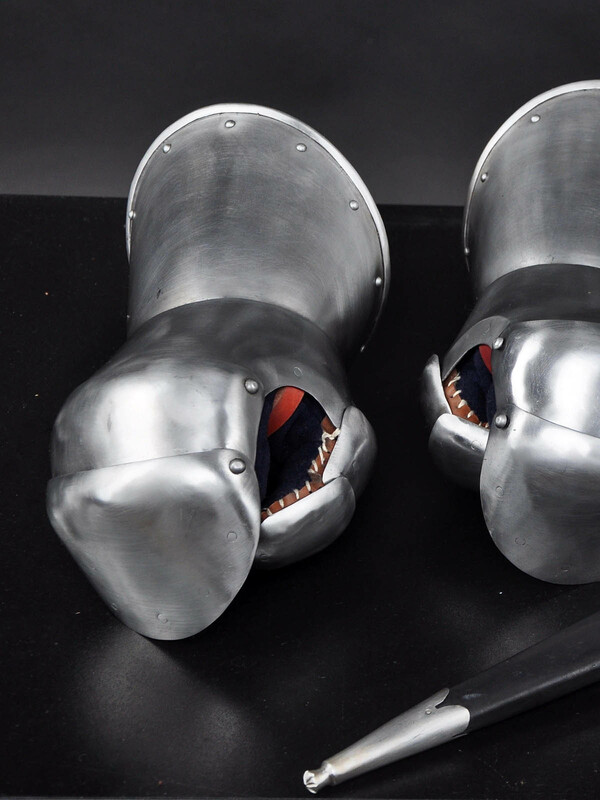 They have long cuffs for better arm protection. 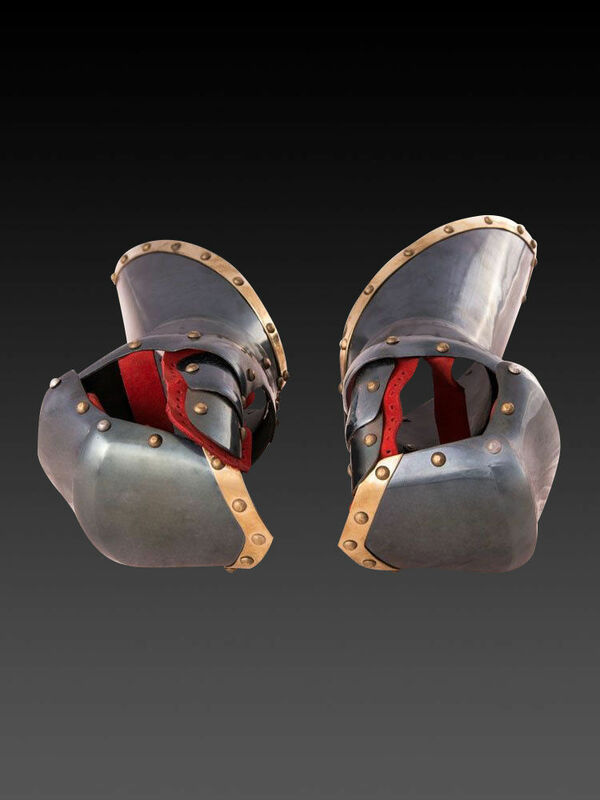 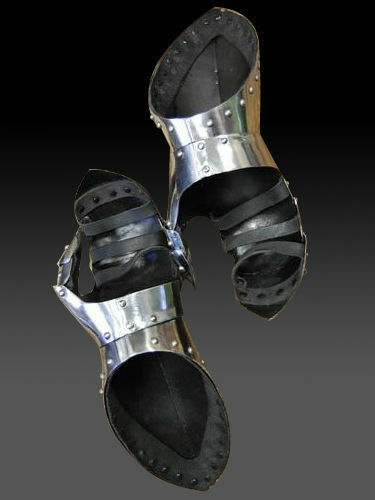 Segmented plate gauntlets have plates, joined with rivets. 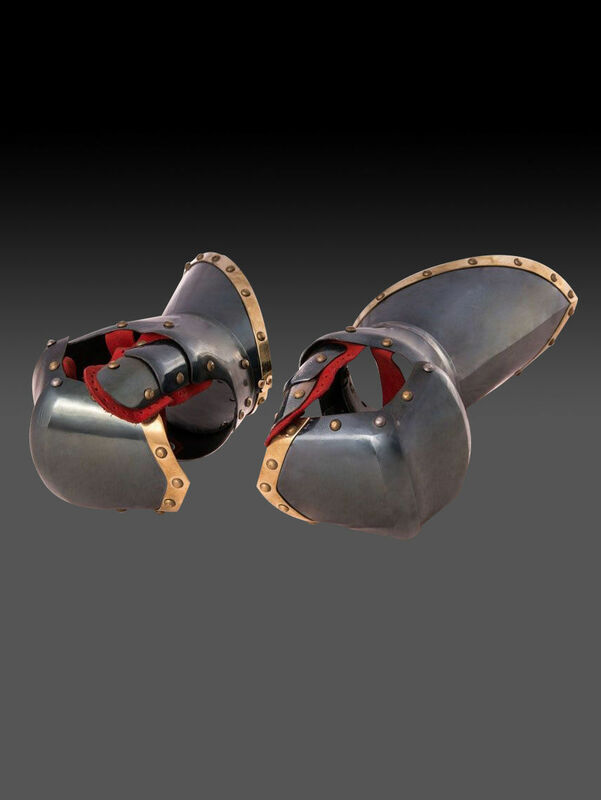 So, knight’s fist may move free and be safely protected at the same time during the fencing or combat. 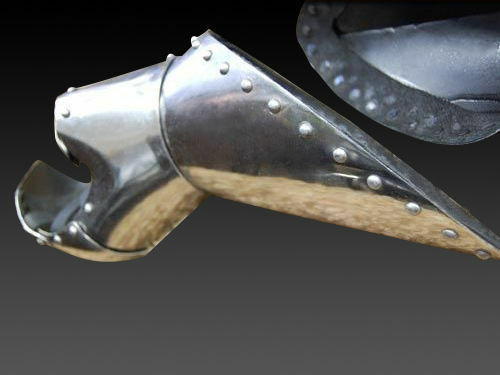 You may see similar model of plate hand armor on numerous medieval works of those times. 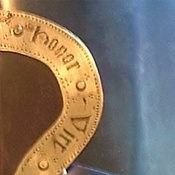 In options, you may choose another type and thickness of metal, color of belts, finish treatment and decoration for your Milanese plate gloves. 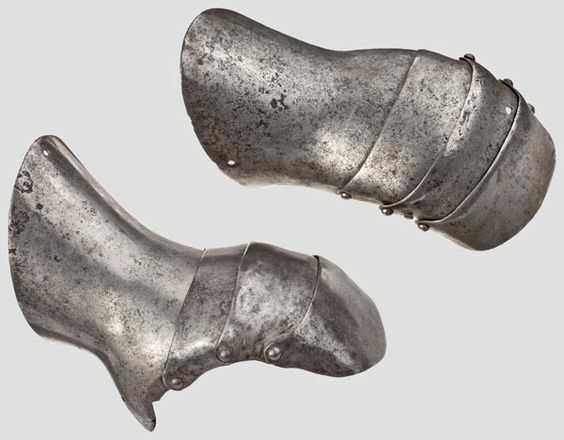 You may also like these fingerless models: gloves in the German style of the mid-XV century, Milan gloves of the 1370-1450 years, knightly mittens.